At Merranti Recruitment we work with skilled candidates of all levels of experience in the production department, covering warehouse operatives, machine minders both in print and finishing departments, managers and directors. With a selection of skilled print minders with varying levels of experience across a selection of printer models, from Heidelberg’s, Komori’s to HP Indigo Operators, we can supply you with candidates to meet your requirements. Whether you are looking for small or large format print minders we can find a candidate suitable for you and your business. Our finishing minders have a wealth of experience in all aspects of the finishing department. If you are looking for Pre-Make Ready, Cut and Crease, Gluing Minders or Guillotine Operators we are here to advise you. All our candidates are fully conversant with both running and maintaining their machines. Reprographic Operators are fully experienced with both repro and pre-press software. They are also knowledgeable in Adobe Illustrator, Photoshop and other design software. Attention to detail when proofing designs are paramount. 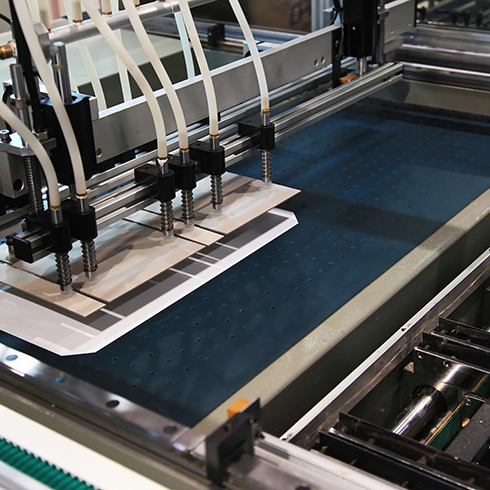 A quality control candidate will be fully experienced in various print quality systems. The aim of their role will be to inspect all print jobs, detect defects, reduce waste, lower production costs and boost productivity and that’s just the beginning! They will also be fully averse to maintain accurate records and data within the production system whilst assisting the Production Director/Manager as appropriate and support other members of the team. The Warehouse Operative will ensure the efficient unloading and loading of stock from vehicles into and from the warehouse. All candidates will be excellent communicators and be able to work under pressure. Customer service is key as they may work closely with customers ensuring they are receiving the exact delivery at the correct time.